"My husband takes HCF as well as my sons and some of my bible students…Husband was told he had severe attention challenges…Both of my sons have similar challenges as well…"
My husband takes HCF as well as my sons and some of my bible students. My son first started taking HCF after hearing about it from a good friend. 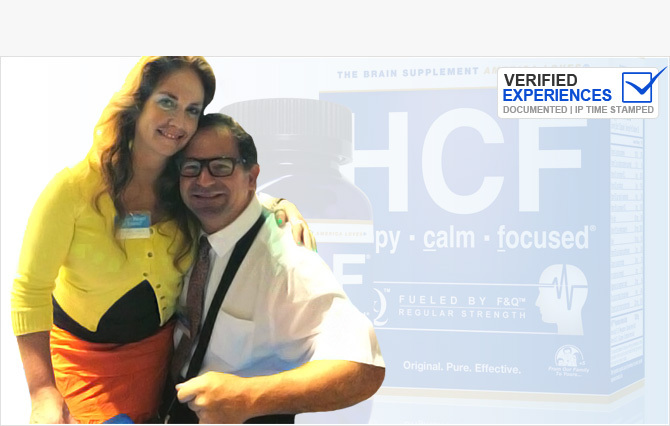 Once my son started taking HCF and getting great benefits, he told my husband about the product. My son felt that HCF would help him and so that is how we first learned about HCF. My bible students have taken HCF as well and have seen terrific results. They have anxiousness and attention challenges as well, and HCF has really helped them as well. * HCF has really become something that has helped my family and friends, and we are all grateful for that. My husband’s overall attitude is better now thanks to HCF. We love that is an all-natural alternative to the unnatural bad stuff and it works! *"